Cool Gadgets in 2014: What New Phones and Tablets Can We Expect? Cool Gadgets in 2014: What New Phones Tablets Can We Expect? A crop of impressive phones and tablets have been released in 2013, from the Apple iPhone 5S with its amazing Touch ID fingerprint reader, System-on-a-Chip iPad Air, to the fabulously designed HTC One. Now, under the influence of a stampede of the upcoming on-the-go gadgets and gizmos, many of you probably start to look ahead into what new gadgets are coming for 2014. Let's take a first look of those known or rumored upcoming phones and tablets along with the operating system technologies, processor, display and others. There is a lot of speculation about what Apple's new gadget iPhone 6, which is scheduled for launch in late 2014, is likely to be. Will it come with iOS 8 or 13MP camera? We are not sure. But 4-inch screen to a larger and full HD Retina display improvement for this upcoming gizmo is definite, according to the meeting between analyst Peter Misek of Jeffries and Apple suppliers in Asia, who did appreciated the broad market of larger-screened smartphones. What are other possible specs of this 2014 cool gadget? According to reports from the Wall Street Journal, iPhone 6 will feature a curved OLED display instead of LCD, a pressure sensitive touch screen with no home button and a bigger battery up to 2,000mAh. A dual core A7 processor is said to be used still on iOS 7, unless iOS 8 comes out surprisingly. 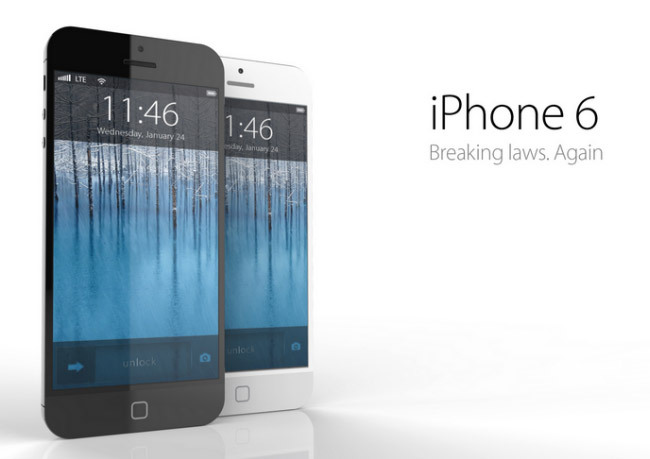 Rumor has it that the company will offer the new device for 2014 with larger capacities, like 32GB, 64GB and 128GB. Sounds like really big changes! A new report by Korean website, citing internal sources, informs that Samsung is likely to release its new gadget-5.3 inch Galaxy S5 smartphone-in February 2014. Let's take a look at the rumored specs for this 2014 awesome device: Kit Kat OS-the newest version of Android, 64-bit Exynos 5 Octa processor, which is said to be true octa-core, with 3GB of RAM, 560ppi AMOLED panels combined with 1440p resolution and a fingerprint scanner, competing with Apple iPhone 5s' Touch ID sensor. It is also said that this new smartphone would feature a metal chassis instead of its usual plastic shell and have dust and waterproof capabilities. Can Samsung make a splash with this outgoing gadget for 2014 and stand out in the nearly saturated market, reversing its disappointing course of Galaxy S4 sales? Let's wait and see. HTC M8 is the rumored 2014 new gadget of HTC. 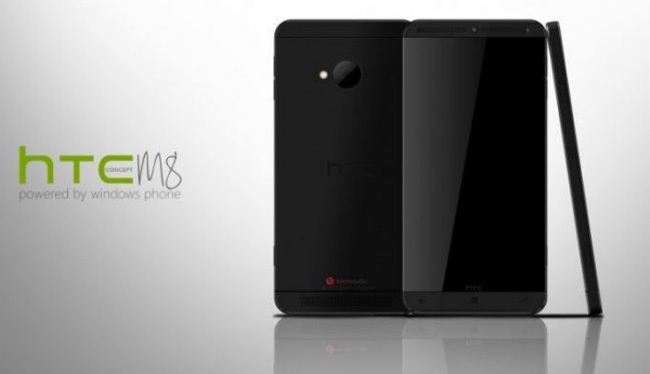 HTC loyal fans may be glad to know that some images and specifications of this cool smartphone have been leaked out recently. Keen on design strategy, The HTC M8 looks to be much thinner than the HTC One, with more rounded edges and metallic chassis. This cool gadget for 2014 is said to be equipped with a Qualcomm Snapdragon 800 processor, seemingly clarifying that it will not follow iPhone 5S or Samsung Galaxy S5 to use a 64-bit processor. 3GB of RAM, Sense 6.0 UI and a display with a resolution of 2048 × 1080 pixels are also mentioned. This new handset will be launched at Mobile World Congress 2014 suggested by some sources. We have all been waiting for more information regarding the upcoming gadget HTC M8. According to DigiTimes, the newest gadget of Samsung-a 12.2 inch tablet-is going to hit store shelves early next year, and Samsung plans to officially reveal it at CES 2014 in January. The upcoming mega-tablet has appeared within the Bluetooth SIG database. Specs details for this new gadget have not been revealed. But the sources predict that apparently this cool gadget for 2014, Galaxy Note 12.2, will also sport Samsung's iconic S-Pen. It is also rumored that its display will be coated with a new film-based capacitive touch layer from China's Shenzhen O-film Tech. Screen-increasing strategy helps Samsung win lots of shaky iPhone fans. Many consumers seem excited about the expansive display. Can the "King of Big Things" Samsung meet your expectations? It remains to be seen. According to the Verge, confirmed by sources familiar with Nokia's plans, Nokia's newest gadget 8-inch Illusionist Tablet is going to be launched in early 2014. Aside from that, the upcoming device will ship with a Qualcomm processor and Windows RT 8.1 operating system. This cool gadget will join the current Nokia Lumia product lineup, consisting of several models of mobile phones. The new Nokia 8-inch Illusionist Tablet is said to have amazing features, like wireless charging technology, PureView camera, allowing users to take clear pictures day or night and Exclusive Live Tiles, making users informed of what's happening currently. There must be other amazing features with this new tablet, and we are all expecting. 2014 is likely to be quite a treat for gadget lovers. It's easy to see that almost all of those cool gadgets for 2014 are trying to increase their capacity, expand their display and enhance resolutions, which seems like tailor-made for your Enjoy of HD movie on your new phones and tablets. As for converting videos, like AVI, MPEG, MP4, WMV, MOV, FLV, etc. to your new gadgets iPhone, Galaxy, a powerful tool is indispensible, like VideoProc, which can help finish your basic converting tasks. 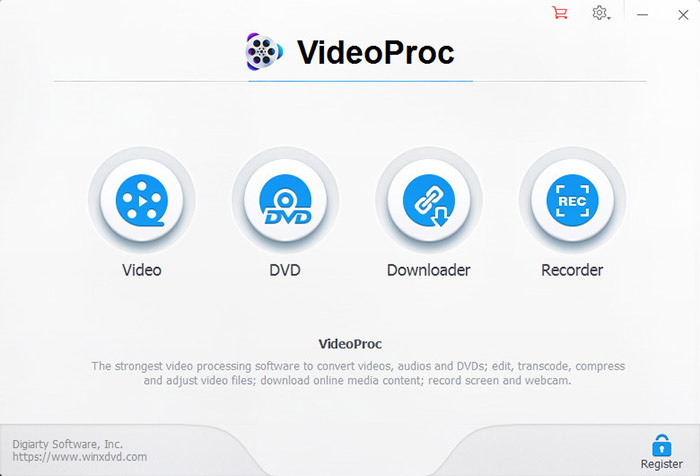 If you are in an attempt to convert HD Videos, like like MKV, M2TS, MTS, AVCHD, MOD to the newest gadgets, iPhone, Galaxy, etc, download and convert YouTube online videos, or you need a more professional video converter, which can ensure high output quality within a fast speed don't bother, with the same tool VideoProc, all things will be done easily, which has been verified by users. Once you get your gadget upgrade next year, make it count by enjoying your HD movies anytime anywhere. This post lists 4 key points, including Windows 10 update, bots, HoloLens, Xamarin you can explore at this grand developer conference held by Microsoft. Wonder about CES/MWC 2014 unveiled gadgets? Here is the best CES/MWC unveiled gadgets 2014 roundup, including unveiled Sony Samsung mobiles and tablets. This is a round-up of 2013 best electronic gadgets, including best smart phones and best tablet to buy in 2013 holiday shopping season.